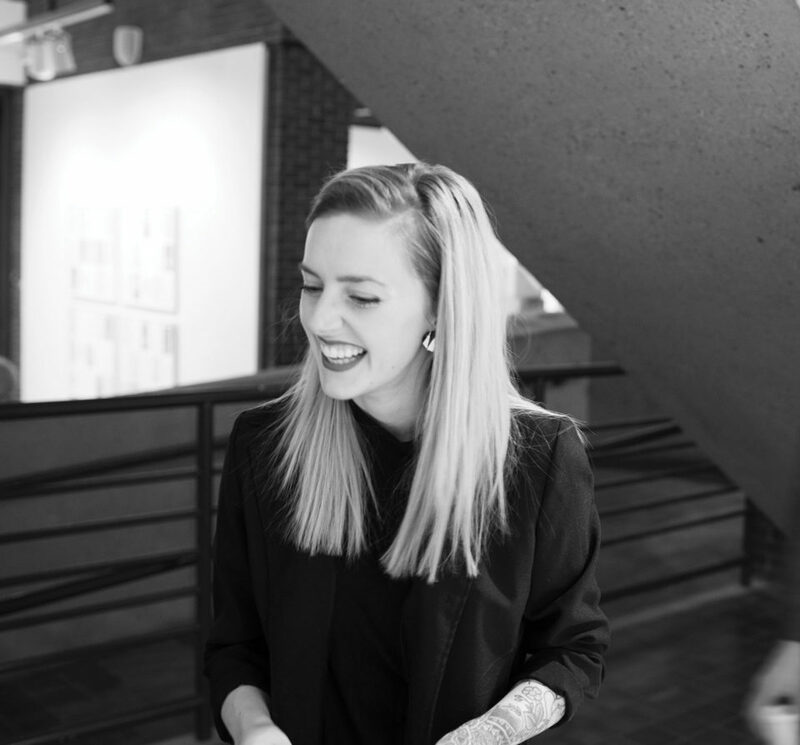 This talented Toronto-born artist came to Edmonton to complete her Masters in Printmaking at the University of Alberta, where she combines images and texts into books, wall prints, animations and objects. She likes the immediacy of the medium, and the pressure of not making mistakes (or incorporating them when she does). She works faster and creates more than most printmakers, including pieces that appeared at her FAB Gallery show earlier this year. Q: What is printmaking and what drew you to it? A: Printmaking is putting an image on anything that’s flat, either by engraving or using chemicals. It’s usually on wood, stone or paper, but you can do it on anything. The most common is screen printing. Your t-shirt is screen printed. You can screen print on a wall. Most people don’t think of doing it unless they go to art school and take a printmaking class. I took a lithography course in my first year of undergrad at York University, and that’s what drew me in. That’s the most complicated type of printmaking, using chemicals. You draw on a stone with a greasy substrate, and cover it with water. When you apply the ink, it only sticks to the image. It takes longer, and that makes most people not want to take it, but I really like it, because it’s very process-based. It forces you to slow down. Q: Are there well-known works of printmaking art? A: Totally! And people know them. They just don’t know they know them. Andy Warhol is the obvious example. His portrait of Marilyn Monroe, that’s a screen print. And he had one in the Art Gallery of Alberta of Wayne Gretzky. It’s a line drawing with all these colours in the background. I think most people would see that and think it’s a painting, but it’s a screen print. Q: So with items like t-shirts and wall prints, there’s a commercial aspect of screen printing? A: Yeah, it’s everywhere. It didn’t used to be. It’s the most recent addition to Fine Arts, partially because of Warhol, but before that it was just the commercial way. People didn’t even think of it as a way to make art. So you can actually make a living — I have a marketable skill! — and some people end up doing that entirely. People in their undergrad will print Drake t-shirts, and on the side do what feeds their soul. Q: What did people see at your exhibition at FAB? A: My boxes [were] part of it. There [were] 165, foot-by-foot boxes. They took a long time, and I’m proud of them. I had a woodcut-printed wallpaper installation, and in the same room there was also a found chair that I carved into. My printed books [were] there. They’re kind of like my relaxing, personal things. They’re small and quiet, like when you read a book, as opposed to bigger installation stuff. And they’re all thematically connected in that they’re all centred around objects and people, and misinterpreting words. It was also about how objects have their own history and memory. I like the idea of a book being an interactive object, but on a small scale. You interact with everything in the world, but for this moment, it’s just this book.